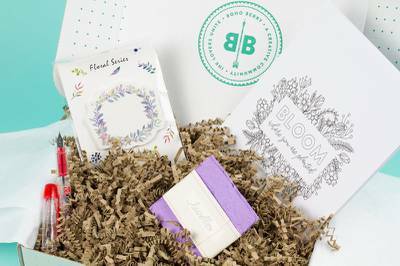 Boho Berry Box is currently sold out! 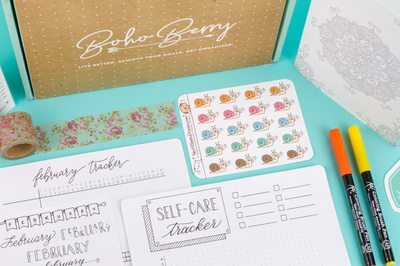 Enter your email address below to receive a notification when Boho Berry Box starts accepting new sign-ups! 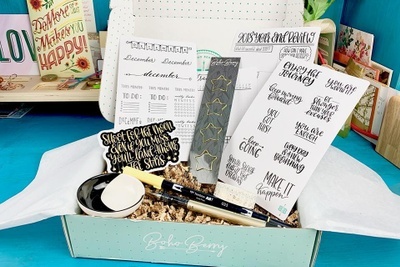 Enter your email address below to receive a notification when Boho Berry Box is accepting new sign-ups again. We ship between the 13th-17th of every month. First time orders placed between the 13th and end of the month ship immediately. 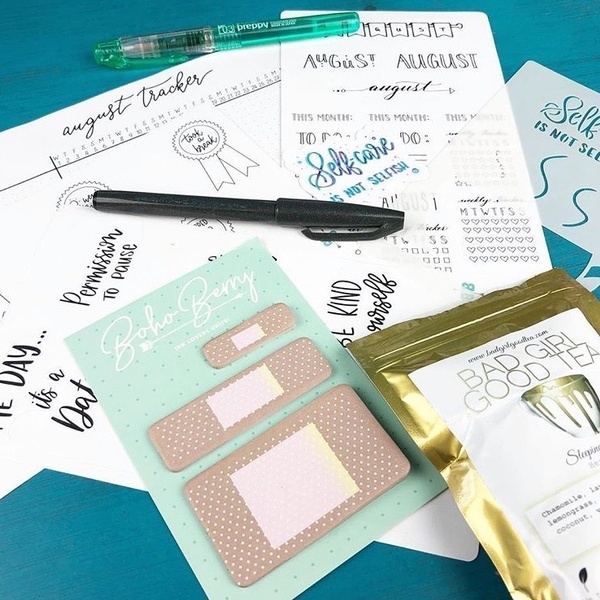 Priority mail for passionate planners! 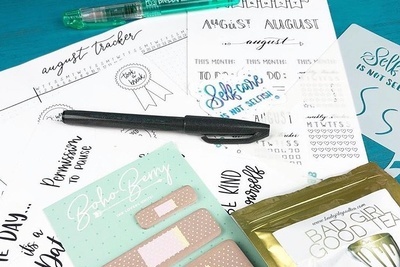 Each box comes with a monthly tracker and sticker sampler from the Boho Berry Paperie, subscriber-exclusive Boho Berry-designed stickers, writing utensils from our favorite brands, and a mix of other stationery-related goodies. 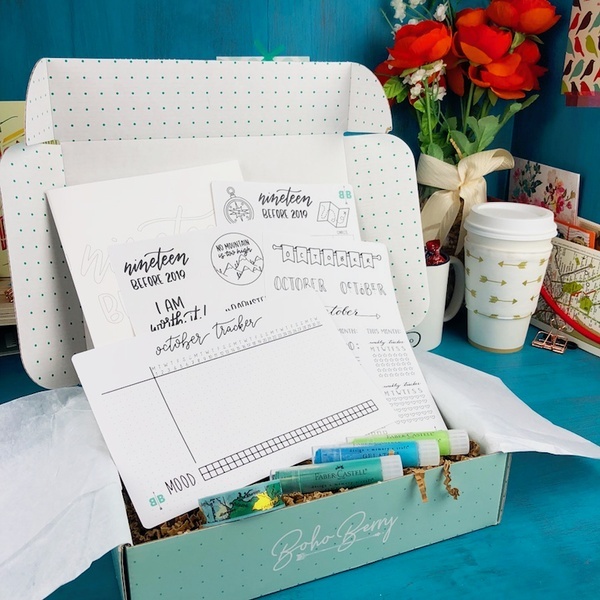 Become a part of Boho Berry's creative planning tribe and sign up today! I have received 3 boxes so far. I have loved all of them. The stickers are unique. 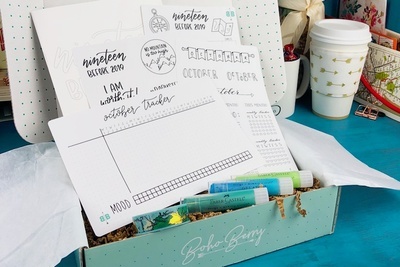 I love that they have so many options to personalize items (mainly by allowing you to color them yourself). This is very important for people like me who are very particular about the colors used. 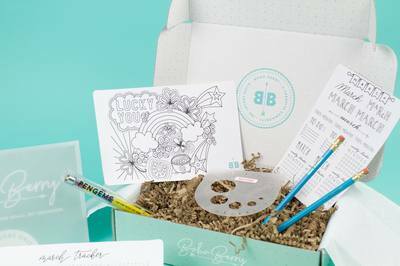 The only thing that I have received that seemed like it didn't really relate to journaling was the necklace included in the March box. Unfortunately, my skin is sensitive to metals so I am unable to wear it. My nieces loved it, though. I especially love that each month so far has included at least one writing utensil that I have not tried before. I definitely feel that I have been getting my money's worth. Very nice package, I liked the items very much. I just opened my second box and I'm so thrilled to find a fountain pen! I have been very satisfied with my two boxes and am looking forward to writing with my new pen. Keep up the good work! 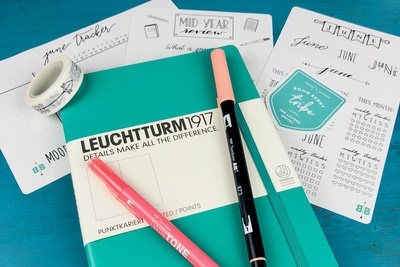 It's the last month of the year, which means it's time to reflect on the year past and start looking forward to 2019. One of my favorite activities at the end of the year is a "19 Before 2019" list. 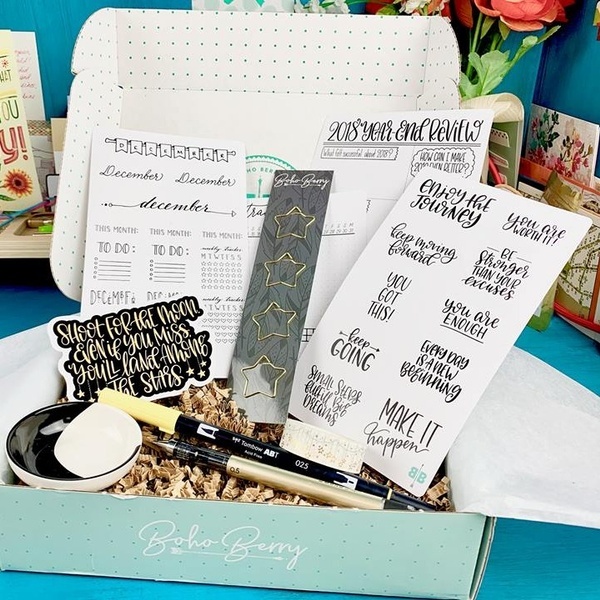 This box will help you map and achieve those mini-goals. Who says self-care is selfish? Not you! It's time to relax, unwind, and refill your gas tank so that you can keep being your amazing self!